Naked layers of rich red velvet sponge and cream cheese icing. Shop the Glorious Red Velvet Naked Cake at Smoor! 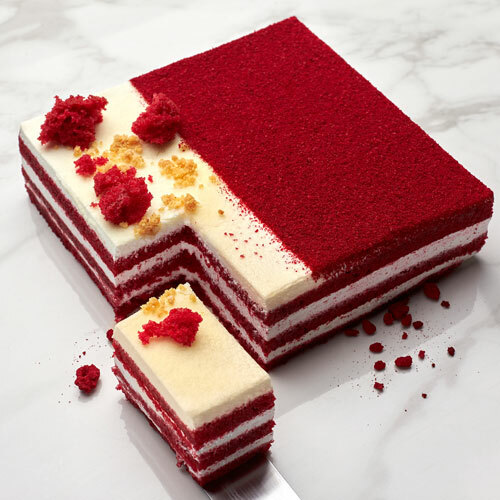 Whenever there is a talk about glamour, there’s a mention of the esteemed red velvet cake. Straight from a wedding function to a Valentine’s Day celebration, a red velvet cake represents love like no other. Naked cakes have emerged as the most sensational trends of modern times. Our skilled artisans at Smoor have mastered this ideology to perfection, creating the most decadent red velvet naked cake featuring multiple naked layers of rich red velvet sponge slathered with delicious cream cheese icing. You can visit our cake shop in Bangalore, or you can buy red velvet naked cake online on our website for home delivery. 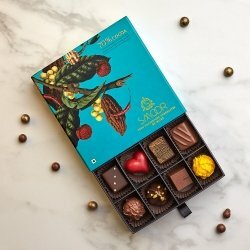 If you are looking to surprise your friends, family or better half, then your search ends here. Our reliable delivery process ensures prompt cake delivery to your desired location in Bangalore along with guaranteed smiles.